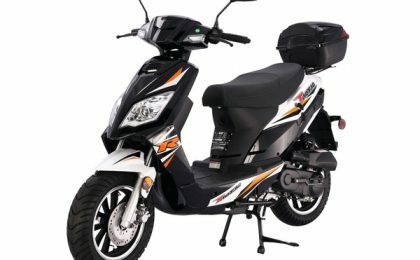 Everyone loves the new Taotao CY50A 49cc fuel efficient scooter from TaoTao! Everyone loves a scooter! 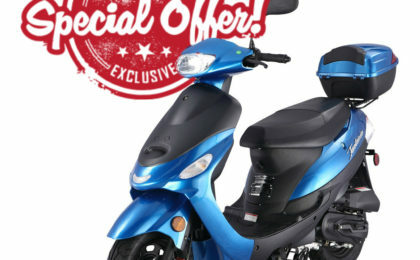 And you’ll love the features on the new Taotao CY50-A. 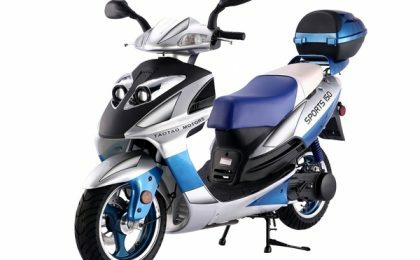 With a top speed of about 35 MPH, it’s the perfect size for teens just starting to ride, and it’s street legal (check your locality). 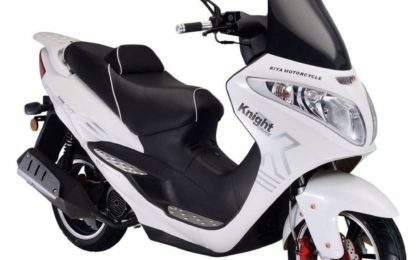 Easy controls include front and rear hand brakes, twist throttle and dash mounted speedometer. Plus, it’s fully automatic. No shifting! The transmission utilizes belt drive CVT technology for smooth, unnoticeable automatic shifting. 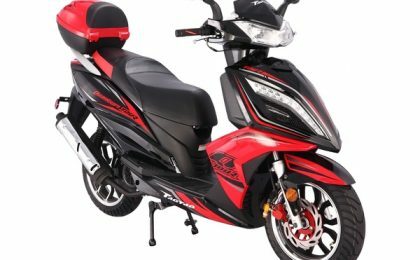 Ergonomic styling, hydraulic suspension, electric start, a wide foot platform and roomy seat make riding comfortable and enjoyable. The CY50-A rides on lightweight 10 inch aluminum rims and includes a rear trunk for carrying along all the essentials. The sleek styling enhances already great gas mileage. 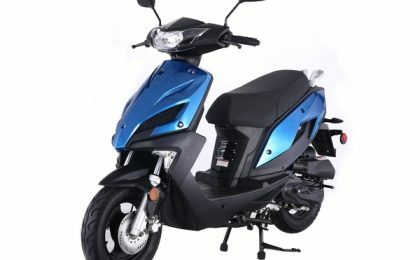 Scooters get better MPG than almost any other vehicle on the road. Go over 100 miles on a single 1.2 gallon tank! Now you can enjoy the luxury of the open road without the guilt at the gas pump!